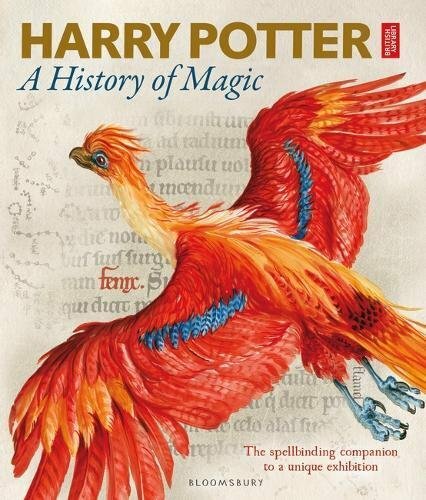 Each chapter showcases a treasure trove of artefacts from the British Library and other collections around the world, beside exclusive manuscripts, sketches and illustrations from the Harry Potter archive. There's also a specially commissioned essay for each subject area by an expert, writer or cultural commentator, inspired by the contents of the exhibition - absorbing, insightful and unexpected contributions from Steve Backshall, the Reverend Richard Coles, Owen Davies, Julia Eccleshare, Roger Highfield, Steve Kloves, Lucy Mangan, Anna Pavord and Tim Peake, who offer a personal perspective on their magical theme. Readers will be able to pore over ancient spell books, amazing illuminated scrolls that reveal the secret of the Elixir of Life, vials of dragon's blood, mandrake roots, painted centaurs and a genuine witch's broomstick, in a book that shows J.K., Rowling's magical inventions alongside their cultural and historical forebears. This is the ultimate gift for Harry Potter fans, curious minds, big imaginations, bibliophiles and readers around the world who missed out on the chance to see the exhibition in person.